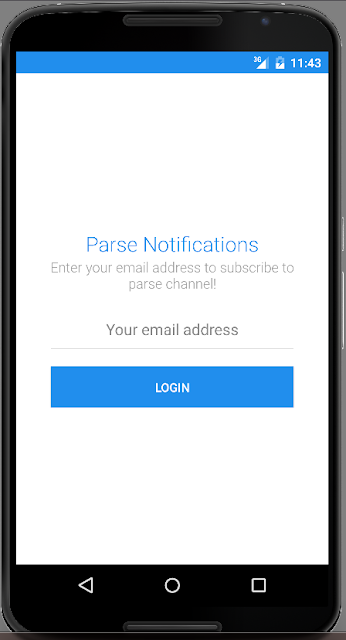 (1)first of all go to parse.com & sign up & then after login create new project inside dashboard & then install the Sdk ..
step 1: click on Get Started with Parse Users. 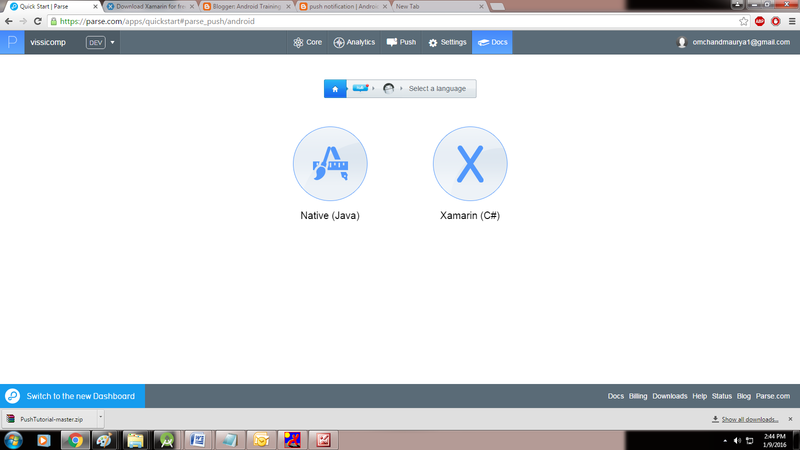 · Before continuing, select your Parse app from the menu at the right. These steps are for your "om" app. · Change the android:name attribute of <category> element above to match your application's package name. 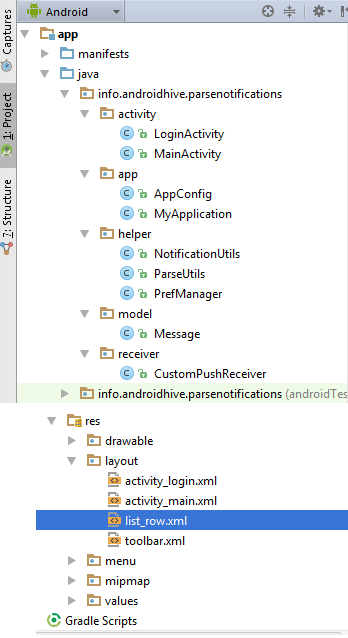 · Change the android:name attribute in the last two lines of the snippet above to match your application's package name. 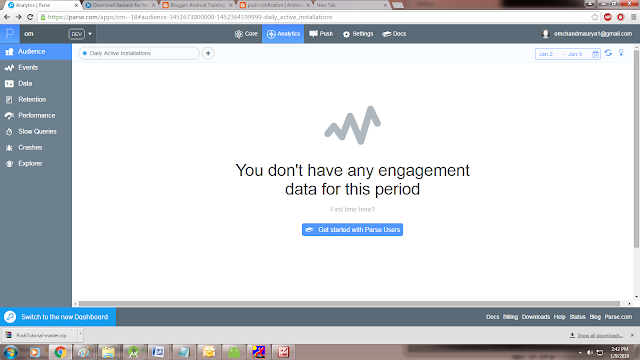 ~ Copyright (c) 2015-present, Parse, LLC. ~ of patent rights can be found in the PATENTS file in the same directory. To integrate parse in your app, you need Application ID, Client Key and parse jar library. Follow the below steps to get your app keys. 1. Sign Up by entering the details required. 2. Create a new parse app. 3. 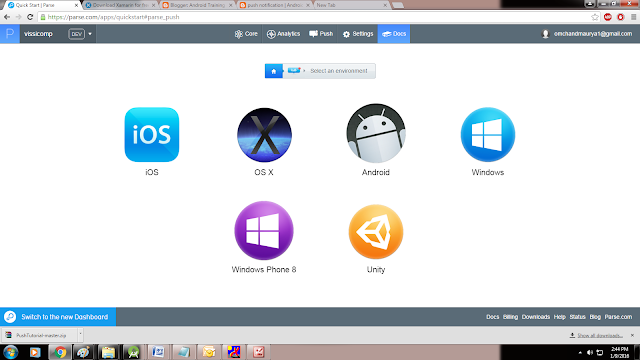 Once the app is created, go to Settings of the app and grab the Application ID and Client Key. 4. 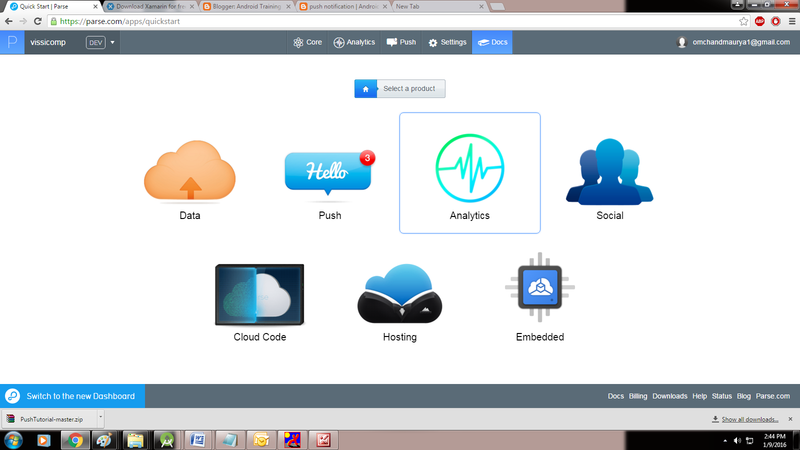 Download latest version of parse-1.9.2.jar. This library contains necessary functions to interact with parse API. // Verifying parse configuration. This is method is for developers only. * Created by om on 01/06/16. * Created by om on 01/06/16..
android:text="Enter your email address to subscribe to parse channel!"